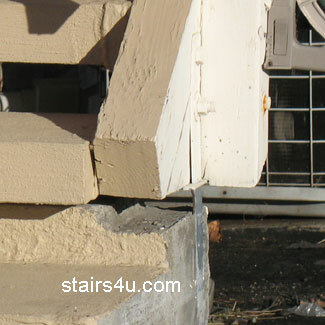 The stair stinger is in a metal post base bracket set into the concrete which is holding the stringer off the concrete. This is a good idea for keeping the wood stringer dry. This help the wood from rotting.